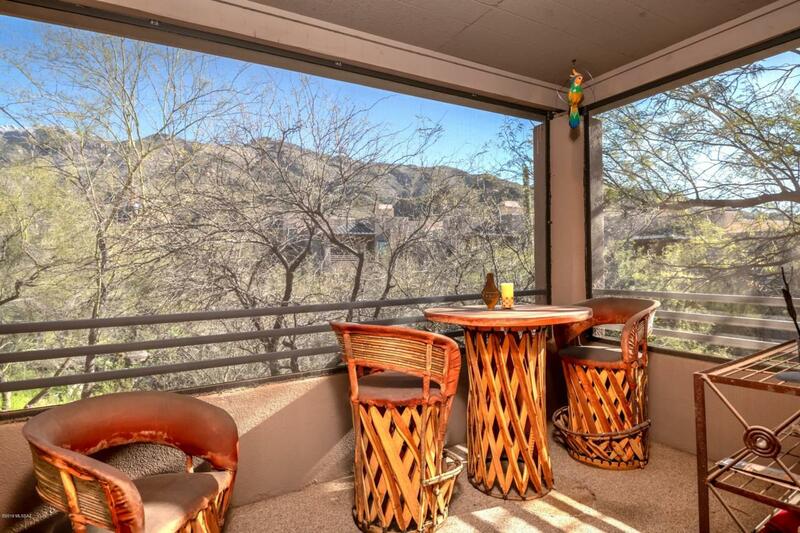 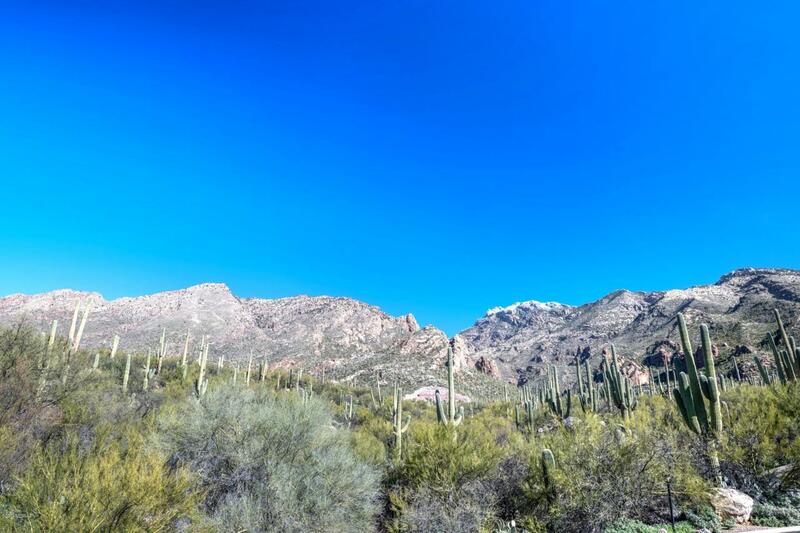 Private second floor Catalina Foothills condo with breathtaking mountain views in the popular resort style community of Canyon View At Ventana Canyon. 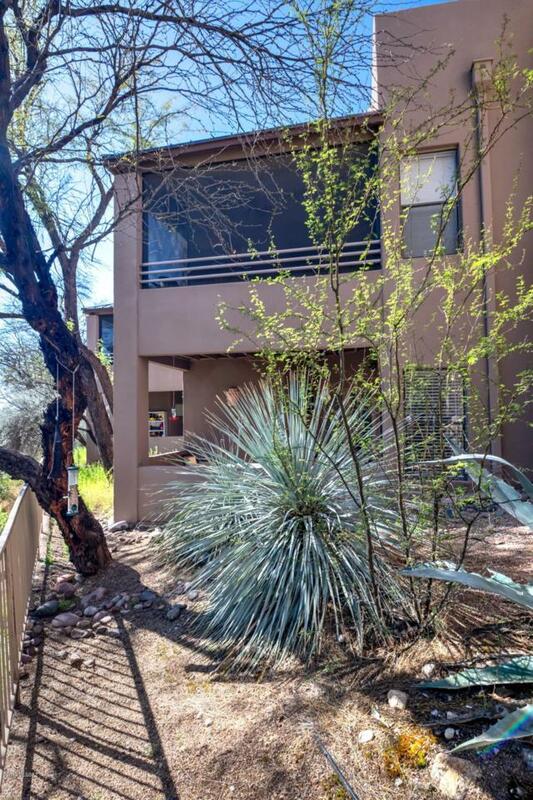 This spacious Northern Tucson property is being sold fully furnished (including 3 flat screen tv's) and features an open floor plan with split bedroom layout, wood burning fireplace, an abundance of natural light, secluded covered / screened in patio overlooking lush desert landscaping, new carpeting installed March 2019, custom shower in master bathroom, full-size washer/dryer, Generous walk-in closets in both bedrooms and luxurious HOA amenities. 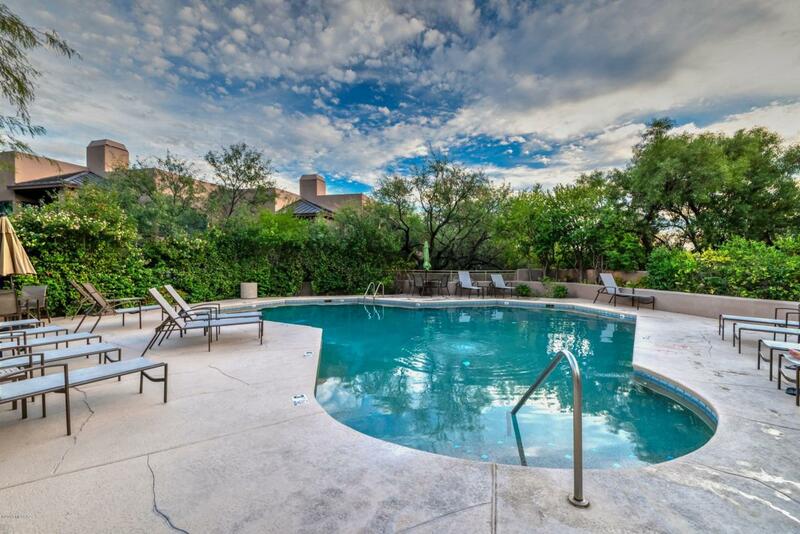 The Canyon View Condos include two heated pools & spas, exercise facility, two Southwest style clubhouses, business center, tennis court, bbq grills and direct access to Ventana Trail.